As an archipelago created by the highly active tectonic zone where the Pacific and Philippine plates collide with the Eurasian plate, Japan is regularly rocked by volcanic eruptions, typhoons, earthquakes, and tsunamis. That has stimulated a particularly rich Japanese tradition-reaching all the way back to the beginning of its recorded history-of visual responses to calamitous events. One might even say that disaster has been a generative force in Japanese culture. It certainly has been a catalyst for change. Disaster, commonly saigai or saika in Japanese, usually suggests tragedy, ruin, catastrophe, and calamity. It implies misfortune and adversity. But natural events are not inherently disasters; disasters are made. As Haruno Ogasawara poignantly notes, the designation of disaster is predicated on a moral and sociological interpretation of an event that perceives it as disrupting society with negative repercussions. Disruptions, of course, can be bad or good, depending on the interpreter's status or position. In Japan, earthquakes historically have been considered transformative, even numinous events associated with contemporary social and political circumstances. They could be both devastating and renewing. And as Kitahara Itoko, one of the foremost scholars of disaster in Japan, has emphasized, the study of disaster should not be just a historical chronicling of damage and loss; it should be an interdisciplinary exploration of the dialectical relationship between destruction and reconstruction in the context of social formations. Disaster is a defining feature of Japan's cultural landscape, and, consequently, the country's general belief system has integrated the cyclicality of destruction and renewal. Since Kitahara and others have devoted a lifetime to elucidating the extraordinary history of disaster in Japan, my intention here is not to repeat their efforts but to undertake the more modest project of illuminating a select set of premodern religious and philosophical beliefs, as well as imaging practices, that contributed to the genealogy of Japan's modern culture of disaster, particularly as manifested during the Great Kantō Earthquake of 1923. In this chapter, I focus on the deep-seated belief in the moral connections between human action and disaster (natural or man-made) and the role of spiritual activities, particularly a range of imaging practices, in helping to prevent or ameliorate such circumstances. These imaging practices reveal the humorous and playful amalgamation of horror and parody and highlight the amusing fusion of the moralistic and the macabre that produced spectacular forms of visual entertainment. The common jocular aphorism for the four most powerful forces of nature, "earthquake, thunder, fire, and father" (jishin, kaminari, kaji, oyaji) suggests that earthquakes are one of the most feared natural phenomena in Japan-comparable to the wrath of the stern Japanese patriarch. The earliest texts in classical Japanese, such as the Nihon shoki (Chronicles of Japan), dating to the sixth century, use the term nai to describe a tremor of the earth (na refers to the land, and i indicates the verb to be). The common current term for earthquake, jishin (literally, trembling of the earth), upon which the name of the modern scientific study of earthquakes-seismology (jishingaku)-is based, seems to first appear in documents from the early part of the eighth century (734) in the Shōsōin temple repository of Tōdaiji Temple in Nara. It was in common use by the beginning of the seventeenth century as indicated by its transliteration as gixin in the comprehensive 1603 Jesuit dictionary Nippo jisho (Vocabulario da lingoa de Iapam com adeclaração em Portugues) that translated Japanese words and their pronunciations into Portuguese. The other common current term, shinsai (quake disaster), did not appear until the year after the Ansei earthquake of 1855, but by 1892, it was being used officially for the establishment of the national Earthquake Disaster Prevention Research Council (shinsai yōbō chōsakai). Most Japanese people from the premodern period (before 1600) up through the nineteenth century believed that natural disasters were the result of imbalances in the five elements of nature caused by social impurities directly linked to human behavior; therefore, they thought that appropriate actions could be taken to ameliorate the situation. On the occasion of major disasters, rulers took extreme measures such as moving the capital and changing the imperial reign name of the period to dissociate themselves from previous rulership. This reflected the Confucian belief in the mandate of heaven that linked equilibrium in the cosmos with proper governance, a set of beliefs that had a pervasive influence in Japan along with Buddhism and Shinto. Throughout the medieval period in Japan, earthquakes figured prominently in didactic historical texts to articulate causal links between natural disasters and the moral turpitude of the current rulership or the immoral behavior of the general populace, notions that continued to have resonance up through the modern period. Two medieval tales exemplify this understanding of earthquakes as expressions of the terrible state of moral affairs, particularly during the period known as the latter day of the Buddha's law (mappō): the Hōjōki (An Account of My Hut, 1212) by the exiled Buddhist monk Kamo no Chōmei and the military epic Heike monogatari (The Tale of the Heike, 1242). The Hōjōki is a moralizing tale about the period after the Genpei civil wars (1180-85) and the profligate behavior in the age of the decline of the Buddha's law. The tale expounds on the transience of life (mujō), describing five disasters that befell the residents of the imperial capital, Kyoto, including a large-scale earthquake in July 1185. Like many interchangeable Japanese tales of natural and man-made disaster, the Hōjōki describes tragic human suffering in vivid detail as a warning to readers about the punishments that lay in wait for their actions. A story of the internecine Genpei warfare, the Heike monogatari similarly features the 1185 earthquake, among others. The tale evinces an overwhelming pessimism as it chronicles the downfall of the Heike (Taira) clan. Reading the rumblings of one quake for the emperor, the chief of the Board of Divination ominously predicts terrible destruction in the future because of moral lapses: "The charter of the divination indicates that the earthquake this time is a warning for far more than minor self-control. When I consulted the Konko-kyō, one of the three texts of divination, the article said: 'Within a year, or within a month, or within a day, a great disaster will come.' This is an emergency." Responding to another quake, people exclaim, "The god of the earth has been angered." The final great earthquake that hit Kyoto, and the ensuing terror, is once again described (and later illustrated) in all its horrific detail and is seen as the retribution of the vengeful spirits of the Heike and the murdered child emperor Antoku. Traditionally, a range of Buddhist sutras enumerated various misfortunes brought on by improper adherence to the Buddhist law. The thirteenth-century cleric Nichiren was the first to bring them all together in his 1260 treatise On Establishing the Correct Teaching for the Peace of the Land (Risshō ankokuron), written soon after the devastating earthquake that hit the shogunal capital Kamakura in 1257. In it, he coined the term "three calamities and seven misfortunes" (sansai shichinan) to describe the result when both rulers and their people turned against the true teaching of the Buddhist law. The three calamities had greater and lesser versions. The greater calamities that would destroy the world were fire, wind, and water; the lesser that would cause human society to perish were high grain prices or inflation due to famine, warfare, and pestilence. The additional seven misfortunes were pestilence and epidemics; foreign invasion and aggression; internal strife; extraordinary changes in the heavens, such as those signaled by the appearance of comets and meteors; solar, lunar, and stellar irregularities; abnormal weather, such as unseasonable storms; and abnormal climatic conditions, such as prolonged droughts. This Buddhist worldview did not distinguish natural and man-made disasters from each other, as they all were linked to human moral rectitude. The Buddhist notion of ritual impurity, kegare, which was absorbed into Shinto belief as well, views things that are unclean as an offense to the gods and redolent of human guilt and sin and is associated with death, disaster, and disease. A major function of religious practitioners was to enact rituals to cleanse this pollution, and they developed a host of purification and apotropaic rituals that they performed regularly to divest communities of perceived contamination and prevent the recurrence of disasters. The tsuina ceremony (or, demon exorcism), for example, is still conducted all over Japan at the end or beginning of every year to expel demons from the community and thereby avert misfortune. For most of Japanese history, people have believed that the dead and the living are connected. As historians of religion Jacqueline Stone and Mariko Walter have amply demonstrated, "Buddhism was the pre-eminent spiritual technology for consoling and pacifying the dead," and the Buddhist doctrine of an ethicized afterlife-where deeds were rewarded or punished by pleasant and painful circumstances and in which worldly bonds persisted beyond death-enjoined the living to dispose of bodies properly. Religious ceremonies were essential for coping with the spiritual predicament of allaying the vengeance of the souls of the dead, who posed a real and present danger to the future prospects of the living if they were not properly conveyed back into the samsaric cycle of rebirth or given salvific rebirth in the Pure Land (ōjō). This was particularly important after the untimely deaths caused by disasters, when the "feeding of hungry ghosts," the important ritual of segaki, had to be performed. This was a joint memorial service conducted for the souls of disaster victims in which offerings were made to appease the tormented souls of unattended wandering spirits (muen botoke) and hungry ghosts (gaki) residing in a liminal purgatory; the segaki guarded the spirits of the dead from the malevolent hungry ghosts and protected them from entering into this purgatory. 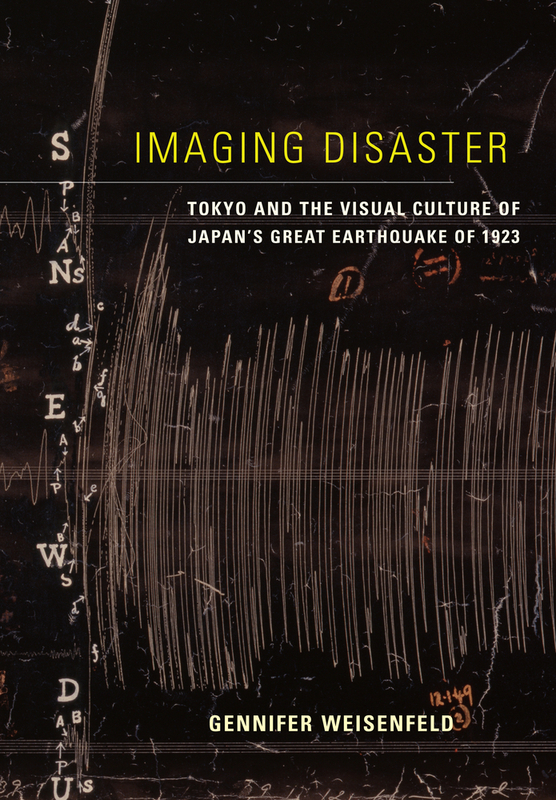 While the imaging of disaster in Japan, if you include warfare, dates back to Japan's earliest pictorial traditions, two visual genealogies coalesced in the mid-nineteenth century to form the backbone of earthquake imagery that was transmitted into the modern period. One emanates from the work of well-known eighteenth-century painter Maruyama Ōkyo, who produced his now famous three-fascicle Handscroll of Misfortunes and Fortunes (Shichinan shichifuku zukan, 1768), commissioned by Abbot Yūjō of Enmanin Temple in Ōtsu in 1765, which illustrated the misfortunes of natural and human disasters in the first two scrolls (fig. 1.1 shows the first scroll), with a final scroll detailing the leisurely, luxurious lives of the aristocracy. The scroll dialectically ties together misfortune and fortune within the Buddhist cyclical notion of reincarnation and provides a powerful visual polemic for righteous behavior in accordance with Buddhist principles. Ōkyo took his cue from Abbot Yūjō's eclectic vision as articulated in the prelate's preface to the scroll and preparatory drawings (still extant), for which Yūjō drew from a range of ecclesiastical sources. But perhaps most important, the abbot incorporated local elements that he felt were most relevant to his parishioners, such as earthquakes, which were particularly prevalent in the Kansai region near Ōtsu and the imperial capital, Kyoto, but were never specified in any sutra texts. Yūjō focused on the contemporary, real-life experiences of the people around him to make his message more potent. His mission was to proselytize righteous behavior by instilling fear of realistic divine punishment and the incentives of earthly rewards. Ōkyo's representations of disaster drew heavily from historical models for compositions and motifs, particularly classical illustrated handscrolls, but they also resonated with contemporary Edo trends in naturalism and realism for which the painter was known as a pioneer. At Yūjō's request, Ōkyo combined real-life elements with some aspects of historical Buddhist images of the six realms of transmigration or rebirth (rokudō-e), which include portrayals of those condemned to hell and the purgatory-bound hungry ghosts at the lower echelons of the karmic order, along with elements from traditional stand-alone pictorial depictions of hell (jigoku-e). These expressive representations of suffering beings in infernal landscapes became stylistically codified over time, although they never lost their evocative potential to instill fear in viewers. Ōkyo and Yūjō were able to update this genre and make it feel distinctly contemporary. And Ōkyo's handscrolls continued to have a significant impact on pictorial representations of disaster through extensive copying by followers of the popular Maruyama-Shijō school of painting, who practiced widely into the modern period. One surviving late nineteenth-century anonymous underdrawing (shita-e) copy of some of Ōkyo's misfortune sections shows this continued spectacular visualization of earthquakes, with infernal cyclonic firestorms bearing down on fleeing refugees as they shriek in terror, dragging their few salvaged worldly belongings. The cyclonic fires are rendered with a combination of black ink (sumi) and vermilion red mineral pigment to express the dynamism and searing intensity of the blaze. Burning, bloody bodies writhe in agony in the whirling conflagration, only inches from fleeing, terrified mothers clasping infants to their breasts. The violent nature of the tragic events is conveyed in exquisite detail. All of the misfortune images-which include torrential floods and rainstorms, dramatically zigzagging lightning bolts striking people (fig. 1.2), and mythic demonic chimera such as tengu (monstrous birdlike creatures) and giant serpents menacing towns, carrying off children, and gnawing on bloody human limbs-capture the truly spectacular quality of disaster, simultaneously evoking fear and excitement. This spectacularized and macabre mode of visualizing the cautionary tales of disaster continued unabated into the modern period. Such imagery is evident in the important visual chronicle of firsthand accounts of the devastating Ansei earthquake, Ansei kenmonshi (Ansei-Era Observations, March 1856), which appeared soon after the quake hit on 11 November 1855. Published anonymously because of the concern about censor punishment, the text (and some illustrations) is widely believed to have been authored by Ippitsuan Eiju II, although it has also been credited to the well-known writer Kanagaki Rōbun. Some illustrations in the volume are by well-known ukiyo-e print designers Utagawa Kuniyoshi (known as Ichiyūsai Kuniyoshi; 1798-1861) and Utagawa Yoshitsuna (active 1848-68), as well as at least two other artists. The images in Ansei-Era Observations, combined with the vividly descriptive text, clearly provided visual entertainment as well as moral lessons. Stylistically, they drew heavily from the explicitly rendered gruesome scenes of the supernatural and macabre that were enormously popular in late Edo visual culture. Renowned print designers such as Katsushika Hokusai and Utagawa Kuniyoshi produced extensive corpora of these images. This predilection for the macabre was also abundantly evident in the increasing focus on gruesome stories of criminality in the news. There was no shortage of blood and gore in Edo popular imagery, a feature that was carried through to the subsequent Meiji period (1868-1912) by skilled print designers such as Tsukioka Yoshitoshi and Kawanabe Kyōsai. Disaster imagery could not be separated from visual entertainment, even when it conveyed strong moralistic messages. The merging of the moral and the macabre is apparent in the depiction of the segaki purification ritual in a double-page illustration in the first volume of the Ansei-Era Observations; it shows a mob of disfigured blue corpses clustering before a group of Buddhist priests who are behind an altar performing the rituals (fig. 1.3). The text reads, "The many horrid deaths of people in the recent earthquake, though it was a natural disaster [therefore they deserve their own suffering], were so piteous that Segaki services were held on 2 December at the following temples ... [to console their spirits]." A list of temple names follows. The grisly features of individual figures rendered by the artist Utagawa Yoshitsuna include one with half his skin missing to reveal the skull beneath, one completely charred from fire, a pregnant woman with her distended blue belly, and another woman gripping her dead infant. These sufferers all look beseechingly toward the clergy for their salvation. While the service protected both the dead and the living, the spectacularly ghastly scenes frightened and titillated the public. One unique and enduring motif in Japanese disaster imagery is the catfish. The catfish image emerged out of talismanic maps, known as dai Nihonkoku jishin no zu (great Japan earthquake maps), which were designed to prevent earthquakes and foretell their future consequences. These maps originated in the fourteenth century but were popularized in the mid-seventeenth century on the covers of yearly almanacs and were sometimes used in tsuina demon-expelling ceremonies. Known as Gyōki-type maps after the Nara-period Buddhist monk who is credited with creating them, some of these maps depict a dragonlike serpentine creature surrounding the archipelago of Japan, with the internal domains delineated. Unlike specific regional representations, these images pictured the entire country in potential peril and unified in its fate. Early Buddhist texts identified four causes of earthquakes: fire (kashin), dragons (ryūjin), birds (connected to the Indian god Garuda, Karura in Japanese), and the Indian god Indra (Taishaku). These maps specifically evoke the dragon imagery-with the creature seemingly about to constrict and choke off the lifeblood of the country. Over two centuries of reproduction, the dragon became conflated with a large cosmic fish-later specifically a catfish. (Catfish often act strangely before earthquakes, perhaps because they can sense the first small tremors as they swim in the mud close to the ground). The titles of the maps, Jisoko namazu no zu or Chitei namazu no zu (Pictures of Catfish beneath the Land), in calendar divination books (ōzassho sanzeshō) reveal the conflation of the dragon and the fish, and the images show the visual transformation of the dragon into an increasingly rounded figure of a catfish (namazu). These map images also mark the first use of the protective keystone (pivot stone) motif, or kaname ishi, next to the dragon/fish's head. This keystone, which marks the place where the Kashima deity (Kashima daimyōjin) descended from heaven, was associated with the Kashima Shrine in modern-day Ibaraki prefecture, where it protrudes from the ground. From as early as the beginning of the fourteenth century, people believed that the stone was buried deep in the earth, resting on the head of the dragon/fish beast at the earth's core. Through the force of the Kashima deity, the stone (or in some cases the deity's sword) subdues this beast and prevents it from moving and causing earthquakes. This connection established Kashima as a national protector, and the shrine promoted this identity to bolster its importance and social status. The bound versions of the Ise koyomi (Ise Almanac) later printed in Edo city include stylized versions of these talismanic maps, which were issued yearly to ward off earthquakes and to predict month by month when and where earthquakes might occur. They continued to have currency into the nineteenth century. An Ise koyomi image was included in the 1830 publication Jishinkō (Treatise on Earthquakes) by the private academy instructor Kojima Tōzan (1761-1831), whose lecture was transcribed by his student Kojima Tōrōan (fig. 1.4). The project was prompted by a massive earthquake in the Kyoto area that year. This image shows a dragon/fish creature surrounding an amorphous image of Japan that appears more like viscera than a map. The four directions are indicated, and on the upper portion to the right of the east cartouche, the familiar thirty-one-syllable tanka poem reads, "As long as the god of Kashima is majestically restraining it, even if there might be earthquakes, the Kaname stone will never come out of the earth" (yurugu tomo / yomoya nukeji no / kaname ishi / Kashima no kami no / aran kagiri wa). The months are segmented around the figure under the dorsal scales, going counterclockwise from the two o'clock position, indicating the predictions for each period. This was the age of the mass-produced printed broadsides (kawaraban) that served as Edo newspapers. The new kawaraban media merged with the older traditions of talismanic dragon/fish maps after the massive Ansei earthquake of 11 November 1855 to generate one of the most interesting and unique genres of Japanese disaster representation-the catfish print (namazu-e)-which would continue to have resonance up through the twentieth century as an allegorical harbinger of divine intervention to rectify an ailing society. The Ansei quake has a particularly important place in Japanese history, for it damaged large portions of the Tokugawa capital, Edo, which was a major center of commercial and cultural activity in the mid-nineteenth century, not to mention the seat of government rule. It was also seen as the culmination of a series of three devastating earthquakes, starting with the 1847 Shinano quake and followed by the 1854 Tōkaidō earthquake. The survival of certain structures, such as the central hall of the Asakusa Sensōji Temple dedicated to Kannon, despite the total destruction of their surroundings, was seen as evidence of divine intervention. Correspondingly, the collapse of the stone watchtower on the perimeter of Edo Castle was deemed to presage the imminent collapse of Tokugawa authority. The Ansei quake inspired a tremendous surge in literary and artistic production, much of which was issued anonymously by commercial (gesaku) artists, a subject that has been considered at length by Andrew Markus. Within one month after the quake, single-sheet, standard ōban-size (10 × 15 inch) allegorical prints featuring catfish started to appear in the popular press in great numbers. They quickly became subject to regulation and censorship, but their popularity ensured their continued production illegally. Over four hundred varieties of catfish prints are known. Throughout the Edo period, people believed that at moments of moral or social crisis, particularly when "spiritual reconstruction" (seishin fukkō) was needed, the catfish would get loose, causing earthquake tremors by shaking the country on its back. The destructive catfish was both deliverer of moral reckoning and facilitator of world renewal or world rectification (yonaoshi or yonaori). Therefore, the Ansei catfish prints presented earthquakes as having restorative effects as well as destructive repercussions. A look at some of the thematic concerns of Ansei catfish prints as visual satire can help us understand the continuities and ruptures enacted in the visual production of 1923. Kitahara has identified two distinct yet intermingled messages in catfish imagery: fortune and misfortune. The people venerate the "large" catfish as a messenger from heaven because it reveals deleterious social ills in an effort to bring about the eventual betterment of society-a view that was generally held by the upper classes, particularly the samurai class. In contrast, the "small" catfish, as a symbol of the myriad misfortunes of disaster, is reviled and attacked by the people-a view generally held by the working classes. This dichotomy is complicated, however, by the fact that many namazu-e express sympathy for the plight of the working classes, presenting the earthquake as a positive event that will precipitate a much-needed redistribution of wealth. The theme of class inequity undergirds many of the works. In one print, euphoric figures gaze rapturously at a catfish spouting coins like a whale-perhaps referencing a well-known scene of whaling off the Gotō islands from Hokusai's Oceans of Wisdom series (1833). In this namazu-e, people happily look on as they imagine the forging of a new, more equitable society. The print can also be read as a critique of the enormous amount of profiteering that took place in reconstruction-related business, a commonly recurring subject. Issues of class equity and social abuse are also addressed in a number of prints that depict the catfish delivering divine punishment (tenken or tenbatsu) to the rich or ruling class for their moral lapses, materialistic excesses, and inept leadership. According to Cornells Ouwehand, through the anthropomorphization of the catfish and the personification of earthquakes, the namazu-e could represent human players in disasters from all angles, as destroyers, renovators, enemies, and heroes. The catfish mirror human society in all its ambiguity. As such, they epistemologically transpose earthquake disasters into something understandable. Namazu-e indicate a more active notion of personal will in relation to earthquakes, as evidenced in the earnest images of mobs of townsmen kneeling in prayer to the brightly labeled protective keystone at Kashima Shrine-Safety Protective Keystone (Anshin kaname ishi), is one example-which demonstrate their attempts to control natural phenomena through pious action. At the same time, images sharply satirized the connection between human action and disaster. An amusing pendent image to the townsmen shows a group of clothed, catfish-men, grinning with teeth bared from ear to ear, similarly bowing in contrition to the Kashima deity for their transgressions in causing the Ansei quake along with others throughout the country (fig. 1.5). They agree to sign a formal declaration of their good intentions. The title, Magic Spell for Protection from Earthquakes (Jishin yoke no myōhō), uses the homonym jishin (oneself) instead of the characters for jishin (earthquake), so that it can also be read "magic spell for protection from oneself," ironically indicating the problematic "self" of the pictured catfish that caused the earthquakes, or more philosophically, pointing to the causal relationship between human action and disasters. The title cartouche in the image is shaped like a tapered gourd container (hyōtan), a common apotropaic image associated with subduing troublesome catfish that was sometimes placed on the fish's head instead of the stone or the sword. In recent work, Gregory Smits has focused on Ansei catfish prints in the context of Japanese urban society at a time of uncertainty and has related them thematically to the weakening of the social and political order. Among other things, he reads the prints as expressing popular anxiety over the political pressure American Admiral Matthew Perry and his Black Ships exerted on the weak Tokugawa shogunate. Anxiety about foreign incursions onto Japanese soil and the international situation in general was indirectly responsible for the magnitude of the quake's damage in that large quantities of gunpowder stored throughout the city for protective purposes exploded in the ensuing conflagration. Along with the sophisticated multilayered wordplay common throughout Japanese print culture, particularly ukiyo-e (images of the floating world of the pleasure quarters), a tinge of parody and a comedic veneer often infused the underlying moral message of earthquake representations. As people gain distance from traumatic events and their lives begin to return to normalcy, they often use humor to highlight the absurdities of the event and relieve the stresses of the disaster. But perhaps most important in Japan was the ability to use parody as a powerful form of veiled social critique, at a time when open public criticism was strictly forbidden. In one well-known, satirical catfish print (fig. 1.6), Ebisu, one of the gods of good fortune, who has taken over watch for the Kashima deity while he is at a meeting of the gods at Izumo Shrine, falls asleep on the protective keystone, thus letting the catfish loose. As the hapless Kashima races back on the right, the catfish wreaks destruction upon Edo. Gold and silver coins are shaken loose from the city, indicting the wealthy elites and heralding the redistribution of wealth. The squatting scatological figure on the left shows the thunder deity engaged in the popular Edo pastime of competitive farting, also known as "thunder farting." The drums excreted by the god evoke the thunderous sound of the earthquake, one of its most fearful aspects. Quasi-comic and decidedly scatological in tenor, this image reminds viewers that even the gods fall down on the job; hence, they themselves must be even more vigilant. Anger and revenge against the destructive catfish (as scapegoat) was a common theme. One print, for example, depicts a frightened, beseeching catfish and its children being set upon by a vision of the vengeful Kashima deity and an angry mob of armed citizens seeking retribution. In other whimsical examples, the catfish and his cohort engage in more endearing human activities. One such print (fig. 1.7) displays a catfish, dressed in a summer kimono (yukata), playing the "earthquake game" (jishin ken) with the gods of thunder and fire, who were often paired with him. The humor in this image lies in the comical representation of these fantastic characters playing the well-known children's game kitsune ken, or "fox fists," involving hand gestures (a game akin to rock-paper-scissors), and the allegorical pictorialization of the common aphorism about the four most fearful things: "earthquake, thunder, fire, father." The print shows the catfish (earthquake) playing with the red thunder god and the fire god, whose back is turned to the viewer, as the stern father looks on from behind. In the end, the gods are busy playing games while the fate of humanity is left to chance. The namazu-e demonstrate the centrality of visual satire in responses to disaster. Commercial publishing greatly expanded in the Edo period, fueling a highly profitable market for news and nonfiction books about subjects like disasters. A new amalgamated genre that emerged during the Edo period, the disaster miscellany (tensai zassan), brought together historical and personal anecdotal reportage, scientific documentation, and dramatic literary storytelling. A prime example was the illustrated three-volume Ansei-Era Observations, which combined traditional disaster representation showing elevated bird's-eye and close-up views of the cityscape and its inhabitants under siege by firestorms with new, more totalizing modes of visualization, such as the fold-out panoramic view of the burning city (fig. 1.8). Significantly, this compilation also included scientific images, such as a very early illustration of the construction of a seismograph and a systematic chart of circles representing the quake's series of shocks and aftershocks with their relative magnitude indicated by size. This textual and visual collage draws attention to the multiplicity and self-reflexive nature of the disaster experience by combining eyewitness accounts, personal anecdotes, stories of supernatural miracles, moralistic tales of virtuous deeds, and purportedly objective historical and scientific reports. This function is highlighted by the image of the catfish in the frontispiece of the first volume-a male figure draped in a hooded cloak that is widely believed to be a self-portrait by Kuniyoshi, suggested by the poem at the upper left by the artist's teacher and patron Umeya Kakuju (fig. 1.9). The catfish's eyes peer out above the man's face at the front of the hood, and the gray skin envelops him like a monk's robe. This feature is a clear reference to the first patriarch of Zen Buddhism, Bodhidharma (Daruma in Japanese), who often wore a hooded red robe. The figure peers through a cracked hole in a wall, and the text on the facing page notes that the author recorded what he "saw and heard" of the earthquake. The viewer is made aware of the act of witnessing through the screen of destruction. Cloaked in the catfish, the figure sees the event from the creature's perspective. This personification puts man in the catfish's position, enabling him to witness his own act of destruction. The image mirrors a popular namazu-e print design that similarly features a portrait of Bodhidharma peering through a destroyed wall in which the figure's eyes and other facial features are made out of coins-a satirical take on earthquake profiteering. Ansei-Era Observations cleverly points to the creative fusion of the objective and the subjective in disaster reportage, not to mention disaster's myriad commercial profit opportunities for carpenters, plasterers, and publishers. Woodblock print media dominated the representation of disaster in Japan all the way up to the late nineteenth century. As Japan moved into the world theater of modern nations in the latter part of the nineteenth century, the country's history of disaster joined a global history of calamitous events, which was further melded through science and technology exchange and international relief aid. Destructive earthquakes and volcanic eruptions have occurred all over the world, but the eruptions of Krakatoa in 1883 and Vesuvius in 1906 and the devastating San Francisco quake of 1906 loomed particularly large in the Euro-American public imagination of disaster in the early twentieth century. In fact, Krakatoa's global news coverage revealed the high level of interest in disasters among the general public around the world, which the Japanese news media quickly embraced. One of the earliest photographs published in a Japanese newspaper, appearing in the Yomiuri shinbun, was of the eruption of the Mount Bandai volcano northwest of Tokyo in July 1888, an event that was also covered in the world press. 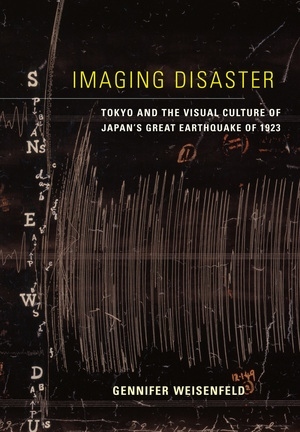 Kitahara has spotlighted the early impact of photography on disaster reportage in the mid-Meiji period, particularly in the representation of the Shonai earthquake of 1894. By the mid-1890s, a decade of disasters in Japan, mass-published regional newspapers using photography had largely displaced woodblock print media such as kawaraban (broadsides) and nishiki-e (brocade pictures; multicolor, single-sheet woodblock prints) as the primary means of communicating news information about disasters and other current events. Kitahara even argues that the putative verism of photography supplanted personal literary accounts of disasters, as survivors no longer felt the need to record their experiences for posterity. While this may have occurred in the short term, it certainly was not the case in 1923, when multitudes of literary and visual representations of the Great Kantō Earthquake appeared in every conceivable medium. Japan's premodern imaging of disaster continued to exert a strong influence well into the modern period, underscoring the moral connections between the natural, the human, and the divine; finding humorous and playful ways to meld horror and parody in visual satire; and capitalizing on the spectacular entertainment value of the macabre. I argue here for a more expansive view of the intermedia nature of the modern visual culture of disaster. While producers of images relied on photography (and to a lesser extent film) as a touchstone of "the real" to provide visible evidence, they also continued to embrace a broad array of media with deep historical connections to disasters of the past, recognizing that these traditional tools lent their own distinct subjectivity, aesthetics, and historical resonances to the tangible and intangible aspects of disaster. Earthquakes are unequivocally visual as well as physical experiences, and the abundance of images of disaster in the twentieth century attests to the importance of visuality in the modern communication of major historical events. However, the imaging of disaster is not merely a by-product or representation of history-it is history. In its time, the Great Kantō Earthquake was the largest and most devastating disaster in the world. What follows is an exploration of Japan's heterogeneous attempts to record and give meaning to the traumatic events of 1923-its first major national disaster on the international stage-in visual terms. Gennifer Weisenfeld is Associate Professor in the Department of Art, Art History & Visual Studies at Duke University and the author of Mavo: Japanese Artists and the Avant-Garde, 1905-1931 (UC Press).